﻿Hoopsnake Press was founded by Ke Francis in 1970 at the studios located at 1249 North Coley Road in Tupelo, Mississippi. 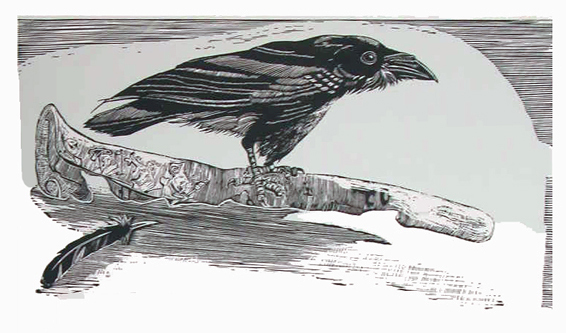 At that time the press facility consisted only of a Charles Brand etching press and technical facilities to print small scale etchings and woodcuts. The press operation slowly expanded to include typecasting equipment, large etching and relief printing presses, and two letterpresses to handle the design, illustration and printing of books. In 1996 the press moved to research space at the University of Central Florida, Orlando, where it established a collaborative publishing venture with Flying Horse Press, the fine art press established by the university art department. Ke Francis became director of this press, which came to be known as Flying Horse Editions, and Ke and Mary Francis continued to publish under the Hoopsnake logo from 1996-2014. Ke, his daughter Kerry, and Mary agreed to revamp the Tupelo facilities and combine the presses and resources from both locations at the original Tupelo studio in 2014. Currently the print and book-publishing projects, exhibitions and archiving efforts of the press are administered by Ke, Mary, and Kerry Francis. Ke Francis continues to produce his paintings, prints and artist books, and individual and collaborative projects are carried out by seven associate artists who are recent University of Central Florida graduates: Nicole Dikon, Lujan Perez-Hernandez, Anthony Mancuso, Corin Robideux, M.J. Torrecampo, Jager Palad and Shanna Stiles. According to Ke Francis, "The Hoopsnake Press Associate Artists are a group of talented young artists whose artistic interests and aesthetic concerns parallel the mission of the press. They are skilled professionals with unique personal visions." For information on available work, exhibitions, workshops and lectures, please contact us. See KeFrancisArt on Facebook and Instagram for more Hoopsnake news and work.